NCAAF: Saturday, December 22, 2018, Amon G. Carter Stadium, Fort Worth, Texas at 3:30PM ET. The 16th annual Armed Forces Bowl will take place on Saturday, December 22 when the Army Black Knights take onthe Houston Cougars. For only the third time in this bowl’s history will a teamenter this contest ranked in the top 25, as Army enters the game at No. 22. Notsince the inaugural playing of this bowl game has there been a ranked team,when No. 17 Boise State defeated No. 19 TCU. This is the third time that Army has been in this contest, as they have won their previous two appearances including last year when they defeated San Diego State 42-35. Houston last appeared in this bowl game in 2015 when they defeated Pittsburgh 35-34. The Cougars have made fourtotal appearances in the Armed Forces Bowl, going 2-2. The Army Black Knights enter this contest with eight straight victories. After losing to Duke to begin the year, Army defeated liberty in Hawaii before falling by just seven against No. 4 Oklahoma.Since then, the Black Knights have rolled over opponents, including beatingboth other service academies, downing Air Force 17-14 before defeating Navy17-10. Army is a one-dimensional team, using their triple threat offense to batter teams with a bruising ground game. They enter this contest second in the country in rushing with 3555 yards. The offense is led by quarterback Kelvin Hopkins, Jr., who has rushed for i847 yards and 12touchdowns while passing for 956 more and six scores. Darnell Woolfolk has 885yards rushing and leads the team with 14 touchdowns this season. In 210carries, he has been stopped for a loss just one time this season, which came against Navy. Army has an active defense led by James Nachtigal, who led the team with 81 tackles and 5.0 sacks. He also forced two fumbles this season and had a recovery return for 52 yards. Cole Christiansen is second on the team was 71 tackles and led the team with 12.0 tackles for losses. The BlackKnights defense was ninth in the country in total defense and have been equallyas good at stopping the run as they have been against the pass. 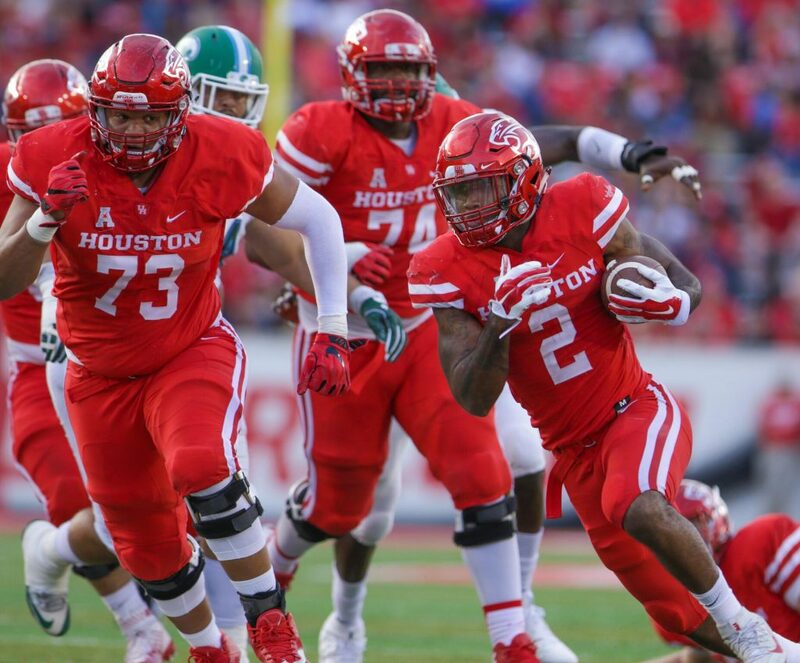 The Houston Cougars season got off to a fast start as the team was 7-1 following a five-game win streak. That included dominating victories over Arizona, Navy, ECU, and USF, putting Houston into the national spotlight. But losses in three of their final four games, including to SMU, Temple, and Memphis, derailed a top 25 finish. It was a defense that allowed at least 45 points in all three of those losses, including allowing 59to Temple that led to the demise. Houston will already start out shorthanded in this contest as Ed Oliver has opted to throw his name into the NFL draft for next year. To protect his prospects, he will sit out this bowl game, putting a lot more pressure on an already struggling defense. Houston is allowing 34.4points per contest and 488.5 yards of total offense per game, including 2365yards on the ground. D’Eriq King had one of the best seasons passing in all of college football, throwing 36 touchdowns with 2982 yards passing. He completed 63.5% of his passes with just six interceptions. King is also a real threat on the ground, rushing for 674 yards and 14 more scores, giving him 50 total touchdowns this season. However, like Oliver, he has opted to sit out this game, leaving freshman Clayton Tune to lead the way. Tune has thrown just 85 passes this season, completing 44.7% for 565 yards and seven touchdowns. Patrick Carr led the team in rushing with 816 yards and five scores. Marquez Stevenson is the leading receiver would 947yards receiving and nine touchdowns on 67 catches. 6-0-1 ATS in their last seven games against teams with a winning record. 5-1-1 ATS in their last seven games in December. 5-1-1 ATS in their last seven games on grass. 1-4 ATS against teams with a winning record. 2-5-1 ATS in their last eight games in December. 18-6 ATS in their last 24 games on grass. Houston has won five of the seven meetings between these two teams but is only covered the spread in two of those five victories. In fact, Houston is 1-4 ATS in the last five meetings between these two teams. The road team, technically what Army will be in this game, is 6-1ATS in the last seven meetings. The underdog is 4-1 ATS in the last five meetings. The triple offense is no easy task to defend, as Oklahoma learned earlier this season when they barely squeaked out a seven-point victory. Houston is going to be without four of their starting linemen, which could make for an extremely long day for this defense trying to stop the Black Knights for moving the ball. With King out and Tune taking over, this game has disaster written all over it for the Cougars. Army is favored to win by 5.5, and they should dominate in this contest. Since King opted to sit out this game the line associated with the total has fallen from 67.5 to 60.0. That is likely tobe too high. Houston is averaging 46.4 points per game this season, but with Tune at the helm they will be lucky to produce half that many points. Army is averaging 29.7 points per game but is facing a Cougars defense allowing 34.4per contest. Look for Army to win 35-23, putting the total just under 60.